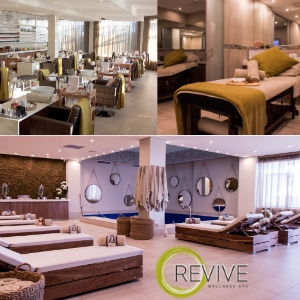 With over 1000 selfies taken every second worldwide, the demand for perfect skin has never been greater. So much so, in fact, that the need to show perfect skin has become the number one skincare concern for women between the ages of 25 to 45. 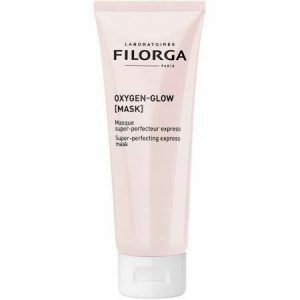 With this trend in mind, Filorga has created its new Oxygen-Glow super-perfecting radiance range for perfect, no-filter skin. 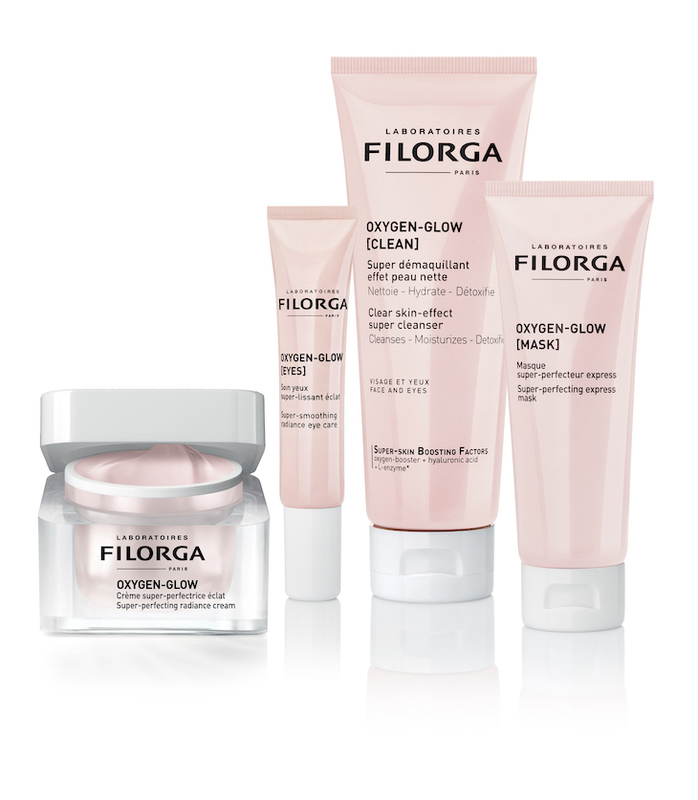 The new skincare range consists of two skincare products: Oxygen-Glow Super-perfecting Radiance Cream and Oxygen-Glow Eyes and two boosters Oxygen-Glow Clean (Cleanser) and Oxygen-Glow Mask. Super skin-boosting factors that provide an intensive flawless skin action. Nasturtium extract acts as an oxygenation booster, helping to energise the skin and provide radiance, a hyaluronic acid duo plumps and smoothes and L-Enzyme detoxifies. Unique photoperfector-HD illuminating technology utilises soft-focus agents and skin-brightening pearlescent particles to create an immediate enhancing action, thereby revealing natural, glowing skin. This “miracle” cream for perfect skin can be used as both a day and night cream. 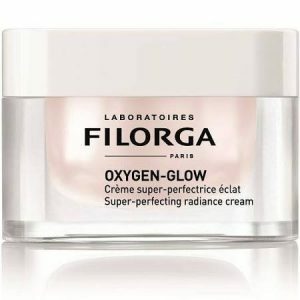 In addition to the core Oxygen-Glow formula, it also contains a colour-control peptide that helps to unify the complexion. The cream can be applied on it’s own or be blended with foundation. It is non-comedogenic and suitable for all skin types. This super-smoothing radiance eye-care cream smoothes and revives the eye contour and contains an additional tripeptide for an anti-dark circle action. 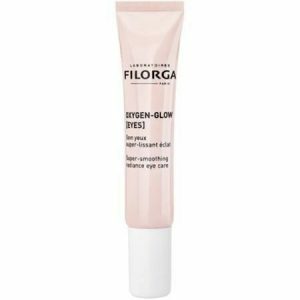 It has a highlighting cream-gel texture and can also be applied under the brow bone for an overall highlighting effect. It is tested under ophthalmological control and suitable for sensitive eyes. 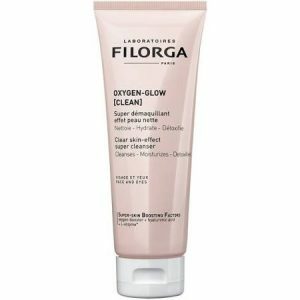 This clear skin-effect super cleanser intensely detoxifies the skin. Niacinamide has an anti-pollution action, which helps to eliminate all the skin’s impurities. It can be applied and massaged into dry or wet skin on both the face and eyes and is suitable for all skin types. This super-perfecting express mask contains a trio of peel-effect active ingredients including gluconolactone, grapefruit extract and papain, which work to reveal a glowing complexion in just ten minutes. For best results it should be used once to three times a week, but it can be used daily for a seven-day intensive treatment. It is non comedogenic and suitable for all skin types.